Give your paper rubbish a dignified place! When Willi Glaeser sat down one rainy Sunday in 1989 and thought about how to easily get rid of paper rubbish in an elegant manner, he never dreamed of making such a hit. The simplicity of his solution didn’t just win over ultra-tidy Swiss people in an instant, but also aroused great international attention. 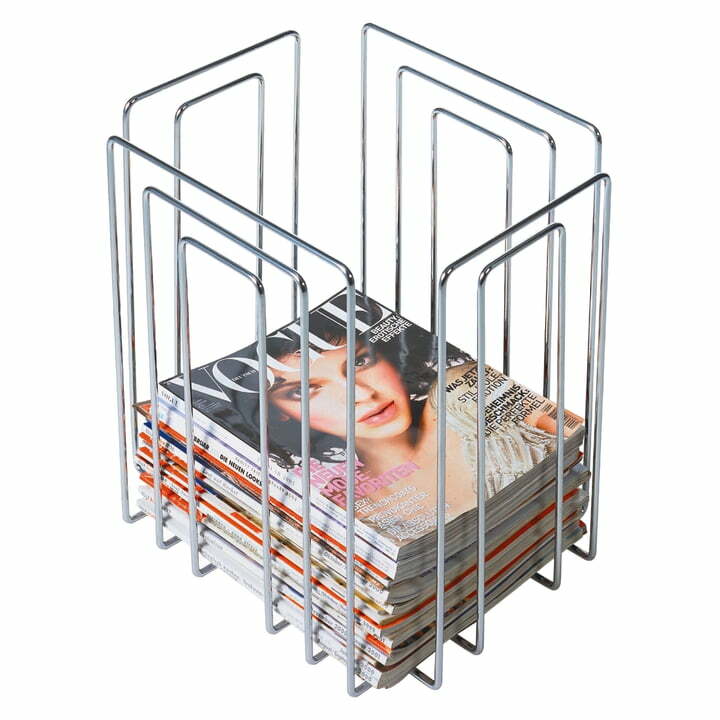 The Paper Collector, which has also been successfully sold by Thomas Merlo & Partner AG in America and Japan since 1991, offers an elegant place even for heavy and large newspapers and magazines. 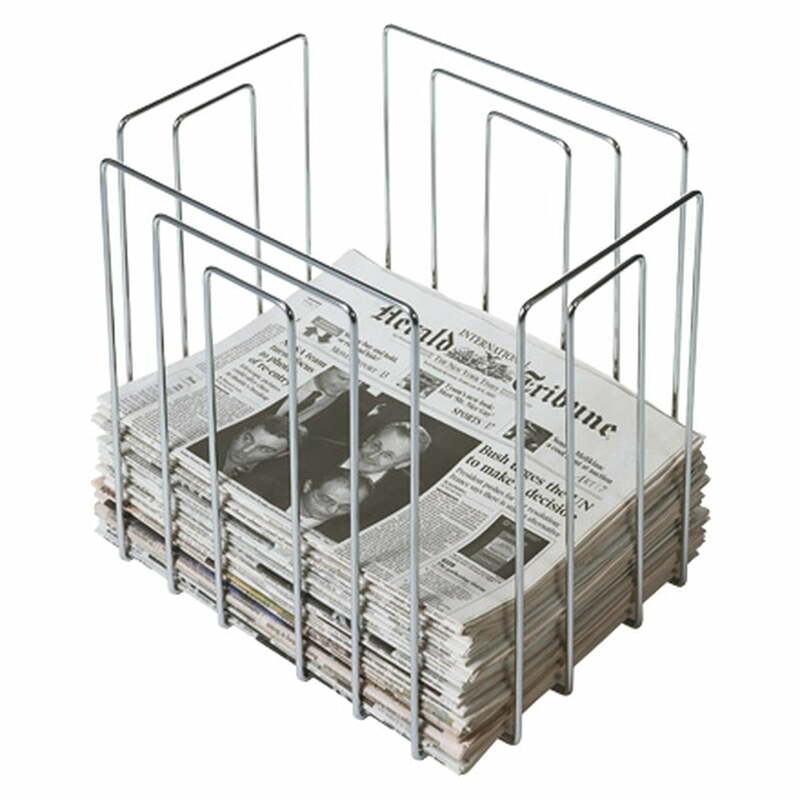 Treat your old newspapers and magazines to a stopover in these elegant, chrome-plated Paper Collectors. You’ll have a decorative collection point for paper rubbish, which even looks good as a magazine rack in the living room, and you’ll also have the opportunity to flick through newspapers from the last week before they’re taken away and destroyed forever. 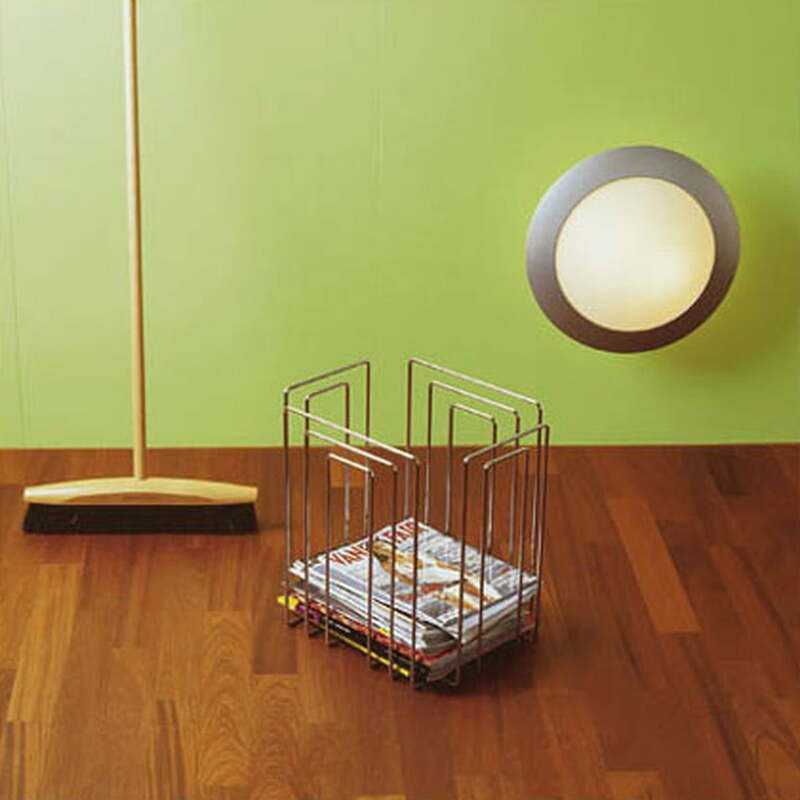 The Paper Collector comes in various finishes: for large newspapers and magazines you should opt for the Full Size model. The smaller brother is called Compact and is suitable for storing magazines. Furthermore, there’s a luxury version in matte stainless steel.